War Movie Event – Anyone In For a War Movie Watchalong? We’ve been discussing this with my friend, The War Movie Buff, for a while now and the idea of doing what is done very often on book blogs, struck us as something that was worth trying on a movie blog as well. The idea is to choose a movie and to post on the same day. December is upcoming and so are the holidays, I thought chances might be higher that we manage to find a few like-minded people who will join. First step is to choose a movie. The second step will be posting questions. You can then either choose to answer the questions or go freestyle, meaning either just comment on our blogs or post an independent review. I would propose to choose from the below list. I will post the choice on Saturday 3 December. The questions will be posted on Saturday 17 December Friday 16 and Saturday 17 and the Watchalong reviews/posts will be due on Watchalong Wednesday 28 December Tuesday 27 and Thursday 29. Please check newer post for details. Change is due to the fact that 2 movies have been chosen. Here are the IMDB links – Jarhead, Master & Commander, Waterloo, The Winter War, A Very Long Engagement. Do I have a preference? Yes, I do. No 1 – 3 or 4. But it’s up to you as well. I hope there will be some interest. If not, it was at least worth a try. France, a country that has endured and fought many wars, was at the center of many a battle and armed conflict, a country famous for its outstanding filmmaking has produced a very modest amount of war movies. You will find numerous WWII movies on the Resistance and a fair amount of rather psychological war-time movies but if you are looking for combat movies, you will not be lucky. I know of no French air combat or submarine movie at all. There may be many reasons and I can only attempt an interpretation, comparing French cinema in general to the cinema of other countries. What becomes apparent soon is that the French are not keen on producing large-scale, epic or very action driven cinema. French movies are psychological and intimate. They focus on the dynamics between a few people, their interaction, the dialogue. Many of the most famous French movies focus on tiny details, small things. It’s easily understood that this doesn’t fit in with infantry combat movies with their huge casts and more action driven story lines. In choosing 12 movies I tried to pick the few real combat movies I knew and added the ones that I think excellent or that absoultely need to be watched. I also tried to covera wide range. I left out good ones, I’m sure. 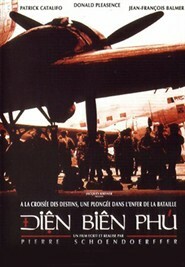 For those who want to further explore French cinema the website French War Movies offers a great overview. I discovered one huge problem for the non-native speaker when I watched La Grande Illusion recently as I bought a movie with English subtitles. Almost 2/3 of the dialogue was missing. I noticed the same when I watched and reviewed the Italian Rome, Open City (here is my review). Since French and Italian movies are dialogue driven, it’s very hard for a non-native speaker to fully appreciate them. I’m sure this is done better in more recent movies, still it is a problem.